Petroleo Brasileiro S.A. produced 2.1 million barrels of oil per day (bpd) in January, 1 percent below December''s levels, due to maintenance and an asset sale, Brazil''s state-run oil company said on Wednesday. 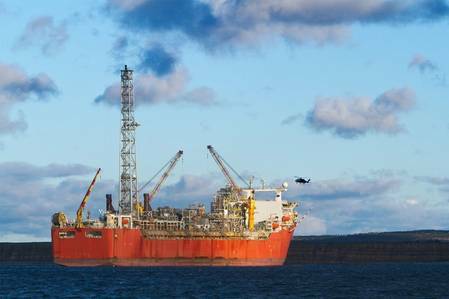 Petrobras, as the company is known, said the fall was due to maintenance on the Capixaba floating production storage and offloading (FPSO) unit in the Campos basin''s Parque das Baleias, and the sale of a 35 percent stake in the Lapa field in Block BM-S-9A in the Santos offshore basin to France''s Total . Petrobras produced 2.7 million barrels of oil equivalent per day in January, the company added.